This study examines the indigenous institution of the Oro cult, its organizations and the various dramatic components embedded in the nocturnal processions of its religious recluse. It is hoped that this study will be of benefit to theatre practitioners, students and those in other related disciplines on the subjects of African theatre. Idofin is one of the five autonomous communities that make up Igbo Ora. The other quarters are Pako, Sagan-un, Igbole, and Igbo Ora. The whole of the five autonomous communities now known as Igbo Ora was founded by Lasogba the nephew of the King of Old Oyo empire, Alaafin Ofinran. Lasogba was said to be the son of Adefioye who settled at Ofin, a village near Oyo Oro. Having been informed by his court priests to leave the neighbourhood to a non-specified place for him to have a successor, Lasogba arrived and settled at the area now known in Ibarapa dialect as ‘Igbo Iwera’, meaning ‘The forest of cultic immersion’. It was this name ‘Igbo Iwera’ which formerly signified the spot where Lasogba used to abide that was later corrupted as Igbo Ora, the name, which the entire five communities now bear .It was at Igbo Iwera that one of Lasogba’s barren wife had a son named Afuwa before he left for another abode. That new abode was concurrently referred to as ‘Idofin’, meaning ‘The re-settlement of Ofin people’. Sagafin, a place which became known as Sagan-un, was the area occupied by Lagaye the younger brother of Lasogba who came in search of him. Ogboja the Princess of Eyo-Ajori, on her visit to Idofin, was persuaded to abide with them and take over the area known as Pako. After Ogboja came Lajorun a native of Ikole Ekiti who occupied the area called Igbo Ora. The rest of the land referred to as Igbole was dominated by Ajade, a very powerful herbalist. The five autonomous communities eventually sent emissaries to Oyo to import Oro an archetypal image of their common ancestral lineage to cement their neighbourliness. Aro, which is Oro ancestral cult chieftancy title was bequeathed on Lasogba who was later succeeded by his son Afuwa as the traditional religious recluse. All succeeding heads of Idofin have always taken the title of Aro. The cultic (sic) of the progenitors that serves as the point of contact with the spirit world is placed in Igbo Ooto, meaning ‘The forest-where-truth-abides,’ the sacred grove of Oro. Igbo Ooto is a conference chamber for the elders in the community. The stool of Aro, since the time of Afuwa, has become a powerful religious recluse; all succeeding heads of Idofin have always taken the title of Aro. The cultic (sic) of the progenitors that serves as the point of contact with the spirit world is placed in ‘Igbo Ooto’ the sacred grove of Oro which, among the people of Idofin literally means ‘The forest where Truth abides’. The contents of their discourse are not meant to be disclosed, especially to women. Secrecy is quite paramount to the cult. A lodge called ‘Kobi’ is set aside specifically for Aro to receive community elders. The ‘Kobi’ is an enclosed brick structure. Adjoining the ‘Kobi ‘is the ‘ojubo’ (shrine) where offerings are rendered to the ancestral fathers on behalf of both individuals and community by Abore the chief priest of Oro cult. In the Oro grove, throughout the period of the festival, it is customary to feed on the food brought into the fold and none is to be taken out as implied in the pithy saying: “A kii r’ajekun Oro” (One does not see the left-over of Oro). To the Idofin people, it is not a taboo for a male child, born into the family, to be taken into the Oro grove. Such a child is referred to as the offspring of Lasogba the father of the clan and consequently is initiated. Abore the chief priest of the secret society and Akewe the lead vocalist of Oro are the paramount chiefs whose stools are considered the essential hierachical structures of the cult. Both traditional elders supervise the religious observances. On the one hand, when an incumbent Aro departs to the great beyond, Abore of the cult is traditionally regarded as the next person in line to become the religious recluse. The stool of Aro, as might be expected, could be ascended only by the most aged man in the community. 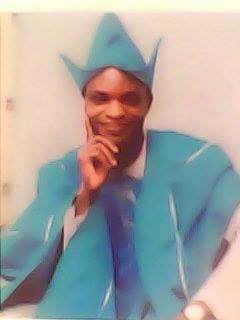 In the course of my research, I learn that the stool of Aro is delineated into four ruling houses, namely: i. Aro Idowu ruling house; ii. Aro Majaro ruling house; iii. Aro Ogunleti ruling house; iv. Aro Opanike ruling house. Abore is usually from the next ruling house. Oro festival, to the people of Idofin, has no particular season of the year. Hence, it is the prerogative of an incumbent Aro to apportion a chosen date for the cultic functionaries: the message would be encoded through the beat of Agere drum. Agere drumbeat constitutes the quintessential mode of announcing the restriction of movements-a curfew is said to be placed by Oro. The sacred ritual feature of the cultus usually takes place as a prelude at night on the eve of the festival to mark the procession of Aro from his homestead to the sacred grove as symbolic of the sojourn of Ladogba from Ofin to Igbo Iwera. Women and non-devotees are not allowed to witness this cultic engagement. The incumbent Aro is said to have mounted a ‘horse’ (Esin) into the sacred grove. It is a common belief amongst the people that women can see the Aro only during the second phase of the grand procession, which takes place at the ancient market of Idofin after this sacred ritual sacrifice. The dramatic effect of the riding of horse into the shrine is enacted through the rhythmic sounds produced intermittently as several sticks are hit on the ground by the followers who exclaim: “Ilekun meje-meje o! Translation: The Seven counterpoised doors! To assert the mystical aesthetic of each step as they go and to warn any inquisitive individual from the scene. In this transition, the Aro is addressed by the generic names of the progenitors of the cultus. He is, at this moment, believed to possess dual nature and language indicative of the ‘living dead’. Hence, the men who follow behind revere him instantaneously in sayings such as: “Asa o jo Gunugba, Awodi o j’ejo af’ayafa!” Translation: “Confiture of an Eagle Is comeliness on its own, Unlike that of Tortise. The swift with the snake Has no common ground. “Baba,maa j’aye!” Translation: Old one, enjoy the dividends Of good fortune. “K’eepe, Baba K’emi ola o gun o!” Translation: May your old age be In good disposition. “E tee kejekeje-o!” Translation: Regale solemnly As you proceed in steps. These pronouncements, it should be noted, are meant to depict each passing phase of the proceedings. Abore the chief priest of Oro particularly ensures the success of this symbolic movement. The priestly cult leader bears steadily in his hands the ‘Igba Iwa’ (Character calabash) after Aro to and from the sacred grove. The nocturnal performance is aptly concluded before twilight with sacrificial rites whereby a big he-goat is slaughtered as an offering to the ancestors. Thus in the dead of the night, the consequential stages of the festival begin in earnest as the adherents move about all the neighbourhoods in the communities to display the vestige of their tradition. The eerie atmosphere to mark the visitation of the ancestors into the community is adopted through the use of numerous ‘piping voices’. These ‘piping voices ‘are considered to be those of the ancestral spirits who are markedly perfect subjects of Oro. To the people of Idofin, Agere and Apesin are alleged to be the hybrid drums that Oro dances to. Agere, to be precise, wholly indicates the prelude of the festival when its hypnotic beat is projected, while that of Apesin is distinctly exerted to herald the eventual return of the sic) of Oro cultus back into its secluded abode in the grove after its ponderous procession round all the neighbourhoods of each clan. 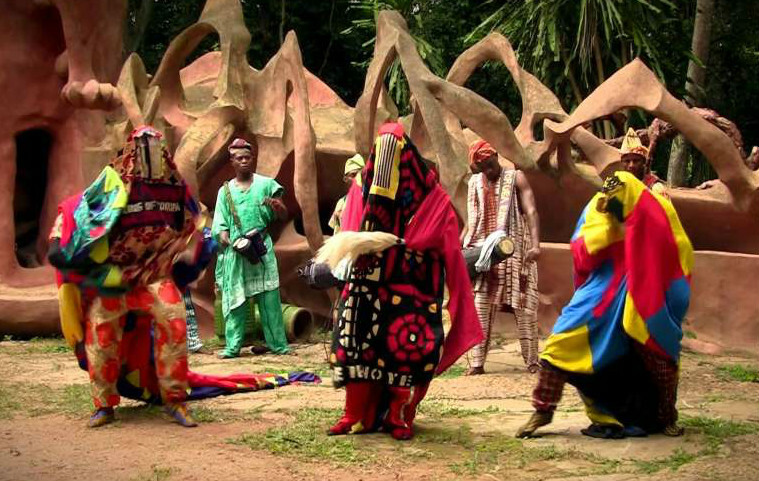 Dance performances, bardic altercations and boisterous taunt of Gbatareyo also known as Adegbee the comic factions of Oro, serve as the significant episodes of the indigenous traditional observance. Frazer, J.G. The Fear of The Dead in Primitive Religion. London: Macmillan, 1933. Webster, Hutton. Primitive Secret Societies. New York: Octagon Books, 1968.